No More Bots! 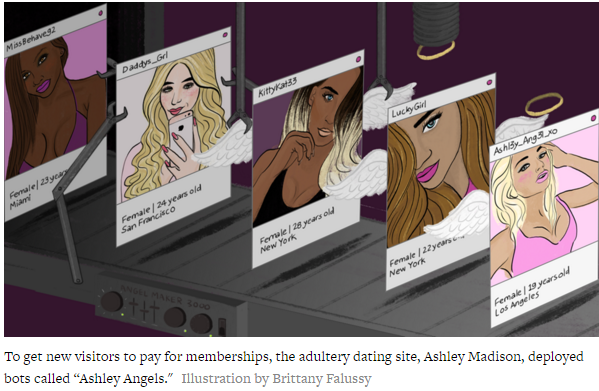 Rolling Stone interviews FriendFinder Founder Andrew Conru to help blow the whistle on the widespread use of sexbots in the online dating business. New Products, and Good Times in Vegas! March 1st, 2016–Q1 Report-New Products, and Good Times in Vegas! Check out the latest happenings at FFN- including a video of our CEO Jon Buckheit introducing Cams Connexion with our lovely Cams Exclusive models AZBlonde and Kendra Sunderland.